Charming, year round Country Cottage with a water view and deeded access to Sherman Pond! Kitchen has an open floor plan & brand new cabinets, counter & new vinyl floor throughout the mudroom, kitchen & bath. Bath has new shower/tub combo, vanity & lighting. Spacious dining room has original wood ceiling, wood walls, fantastic brick fireplace & picture window with a water view. Two spacious bedrooms have original wood walls, closets, one w/wood flooring. Wonderful family room has a huge picture window & serene view of the pond. 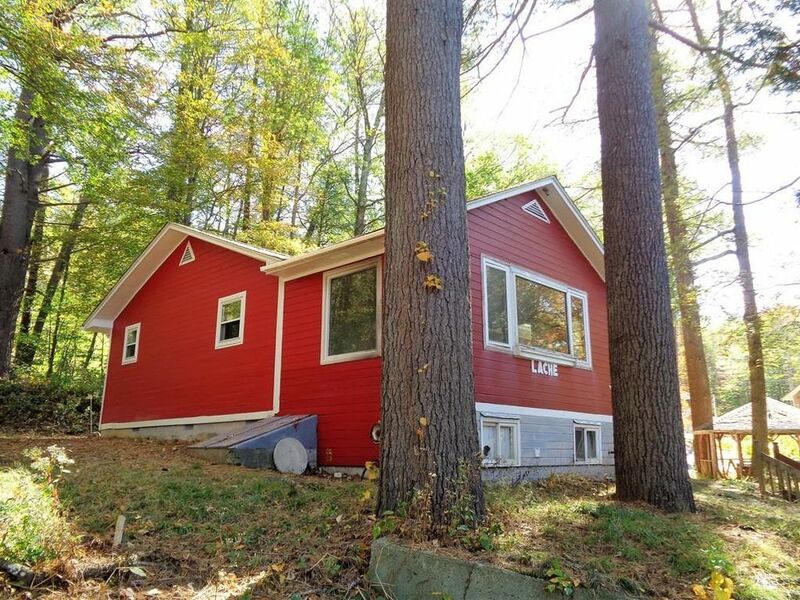 Priced to sell w/room for a conventional septic system (APO), this sweet home would make a great weekend getaway or an affordable way to get into historic Brimfield! Deeded, private, beach rights to the swimming area & the public boat ramp is just down the street. Brimfield is home to the famous Brimfield Antique Show! Super commuter location:10 min to the MA Pike in Sturbridge or Palmer & 15 min to Rt 84 in Ct! Directions: Brookfield Rd to Cubles Dr to Forest Rd. On the corner of Cubles and Forest, red house on left.